The children of Israel wanted a recall on Moses and Aaron. When Joshua and Caleb concurred with their leadership, the congregation wanted to stone them (Numbers 14:1-10). Paul was criticized. "For his letters," they say, "are weighty and powerful, but his bodily presence is weak, and his speech contemptible" (2 Corinthians 10:10, NKJV). In our language: "He is ugly and he can't preach." Jesus was criticized. He was called a glutton and a wino (Matthew 11:19). "He has a demon, and is insane" (John 10:20, ESV). On one occasion, His own people said, "He is out of His mind" (Mark 3:21, NKJV). If Jesus and Paul were not good enough and effective enough to escape criticism, even from those close to them, Jerrie Barber will be criticized. If that is true, I have some choices. I can play the game of "Ain't it awful" and wish that it would go away. I can get angry and defensive and blame the criticizers. I can feel rejected and depressed because everybody doesn't appreciate how hard I work and how dedicated I am. Or I can accept reality: lightning rods attract lightning. Lightning rods process strong surges of electricity. 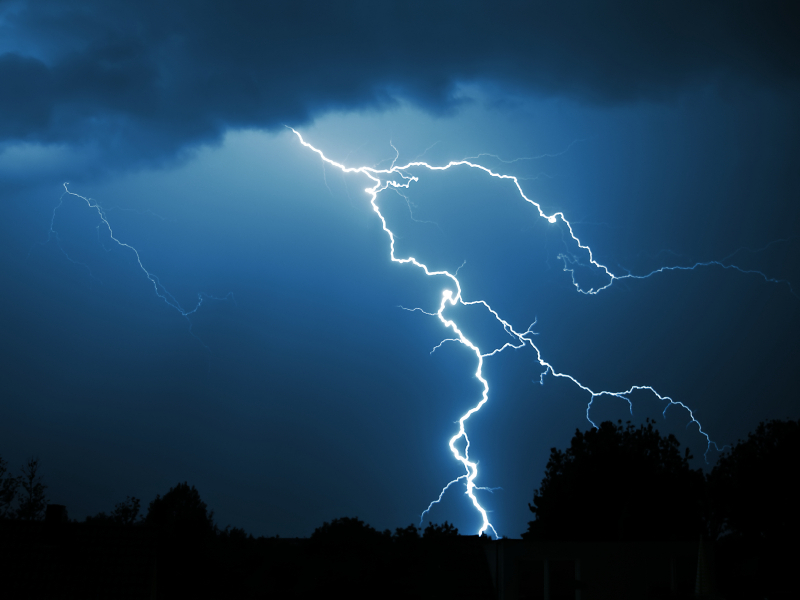 A bolt of lightning can travel 37 miles per second and reach a temperature of 54,000 degrees F. The lightning rod accepts the power and transports it to the ground to keep the house over which it is watching safe.